Save Now on our Inventory Reduction Sale! 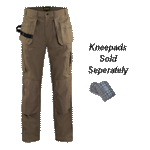 Inventory Reduction - Take Discount on orders over $100 - any Combination of Items in the Category - These canvas pants for men are the same as the Brawny Work Pants except without the front untility pockets. They are heavier than many other work pants and are made of 12 oz. 100% cotton canvas. Inventory Reduction - Take Discount on orders over $100 - any Combination of Items in the Category - High visibility sweatshirts are constructed of a comfortable high density polyester material. Tingley’s Job Sight products make ANSI 107 compliance for high visibility apparel easy. 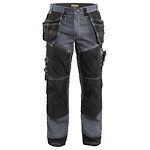 Inventory Reduction - Take Discount on orders over $100 - any Combination of Items in the Category - The Bantam Work Pants are the lightweight version of the Brawny Work Pants. The fabric is a cooler 8 oz. 100% Pre-Washed Cotton Canvas to help you stay cool in warmer weather or when working indoors. Inventory Reduction - Take Discount on orders over $100 - any Combination of Items in the Category - If you are looking for a set of on the job boots that are durable but also classy and sleek, these steel toe work boots by Thorogood are the perfect fit for you. These 8 inch boots provide that extra support that you need for your ankles. 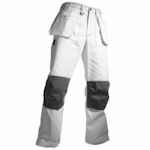 Inventory Reduction - Take Discount on orders over $100 - any Combination of Items in the Category - The Painter Pants by Blaklader are the answer for painters needing to save their knees as well as keep their tools and other items close at hand. They are made of 13 oz. 100% Cotton Twill for rugged, long lasting comfort.